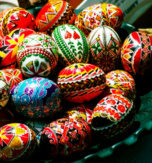 Ukrainian Easter eggs are works of art and pride of Ukrainian people. 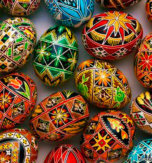 The eggs are painted in many different colors which have traditional symbolic meanings. The red color has the biggest number of meanings. Not without reason it is equated with the notion beautiful – in the Ukrainian language the world red (krasnyi) and beautiful (harnyi) became replaceable. The red color symbolizes welfare, joy in living, and it means hope for a happy marriage for newlyweds. 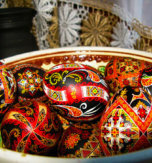 The red Easter egg is the main symbol of resurrection and self-sacrifice. Yellow, golden, and orange colors affect people like sun rays and bring happy, joyful mood. Easter eggs painted in these colors represent warmth, hope, celestial bodies, and harvest. The green color means the awakening of nature in spring and hope for a bumper crop. The light blue color stands for sky, air, and health. The brown color symbolizes the earth and its vivifying power. The black color is the color of night, everything unknown and mysterious. Being the background color of the Easter egg, it shows the strengths of other colors the same way as in life the darkness allows us to understand what is light. The color also means the eternity of life and afterlife. 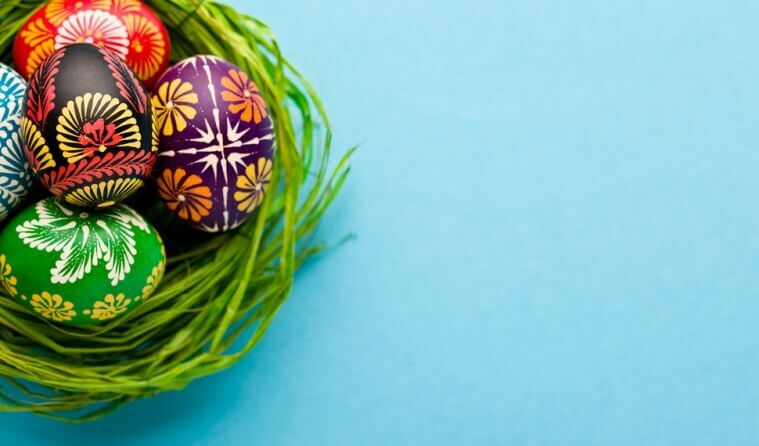 The multicolored Easter egg is the symbol of family happiness, peace, and wealth. 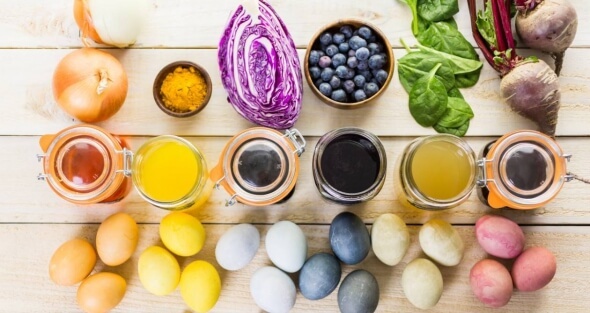 Now you’ve already known the symbolic meaning of colors and it’s time to find out the secrets of how to paint eggs in different colors using natural colorants. To paint eggs in red you can use - pomegranate juice, preserved cherries with juice, red onion peel (boiled beforehand). 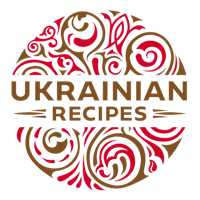 Yellow color – green tea, camomile tea, celery seeds/turmeric (boiled beforehand). Orange – ground red pepper. Lavender color – violet buttons + 2 tsp of lemon juice. Blue color – red cabbage leaves (boiled beforehand), preserved blueberry. Pink – pomegranate juice, red grapefruit. 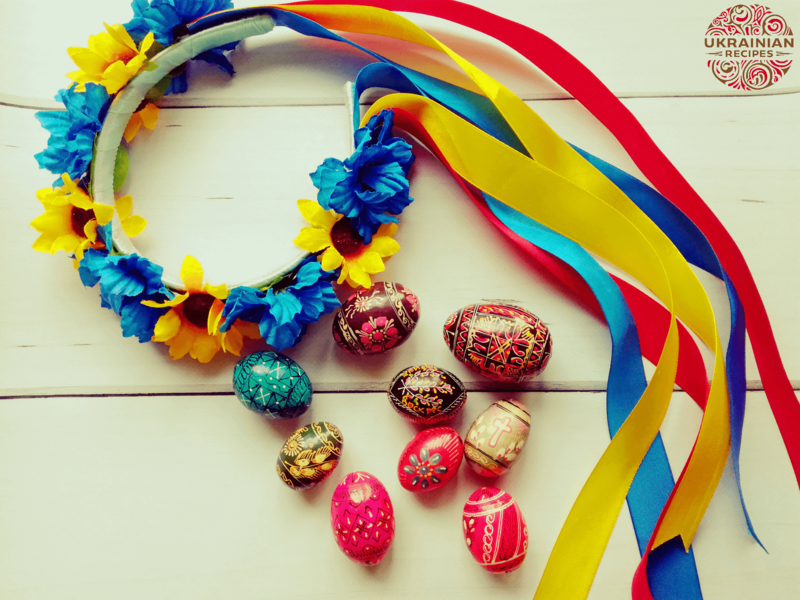 Have you liked the article about Ukrainian Easter eggs?